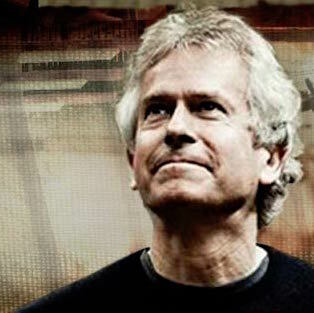 Genesis keyboardist and co-founder Tony Banks released a new album of orchestral music in February 2018 through BMG Records. Five is Banks’ 10th album outside of the band and his third orchestral album following the releases of Seven: A Suite for Orchestra (2004) and Six Pieces for Orchestra (2012). Five is a gorgeous collection of five compositions written by the Rock and Roll Hall of Fame inductee and was produced by long-time collaborator Nick Davis. The production, with the Czech National Symphony Orchestra and Choir, is helmed by renowned orchestrator and conductor, Nick Ingman. Banks co-founded Genesis in 1967 in Surrey, U.K., with his classmates Peter Gabriel (vocals) and Mike Rutherford (bass), and two others and within two years they had recorded their first album. They were joined by drummer Phil Collins and guitarist Steve Hackett for their third album and that lineup remained intact for several more releases. The progressive rock band eventually received acclaim in the U.K. but it wasn’t until 1974’s double album, The Lamb Lies Down on Broadway, that they began to see sales success in the U.S. That album also marked the final one for the charismatic Gabriel, and Collins became lead vocalist beginning with 1976’s A Trick of the Tail. Soon, the full-time band members were the core trio of Banks, Rutherford and Collins. Ironically, it was the success of side projects from Collins and Rutherford that helped bust the band wide open in America. In 1986, Genesis’ Invisible Touch album yielded five Top 5 singles on the Hot 100. Yet the trio would record only one more group studio album. A 2007 reunion tour was a huge financial success. Best Classic Bands spoke with Banks in 2018 about his solo project, his early training–“I was an average piano student at school”–and, of course, Genesis’ development from art rock to stadium act. Were you brought up in a musical home? My mother was very into music. I first got into classical music at age five… six… seven. There were 78s lying around our home. Then it was Broadway shows from Rodgers and Hammerstein. Then my brother–who was 10 years older than me–exposed me to a lot of things like “Sixteen Tons” by Frankie Laine. By 1961, and for the next five to six years, I was music mad! I was an average piano student at school, playing Rachmaninoff and Ravel. I played by ear, which led into writing. I hear elements of Genesis in the new album. I hadn’t noticed that. Obviously I’m a writer and have certain ways of writing. We recorded Five like a pop/rock album. The reason I did it this way… I’ve gone in there with an orchestra and there’s so much to correct. This time, we recorded things separately. We did most of it in the U.K. and then went to Prague for the strings. We could scrutinize all the parts, knowing where we wanted to end up. The final result is so much closer to what I originally intended. It’s a complex piece. Genesis had already made several albums before the band signed with Atlantic in 1973. What were the band’s expectations? [Atlantic founder] Ahmet [Ertegun] was keen on us but didn’t know what to do with us. However, we were not prepared to compromise. 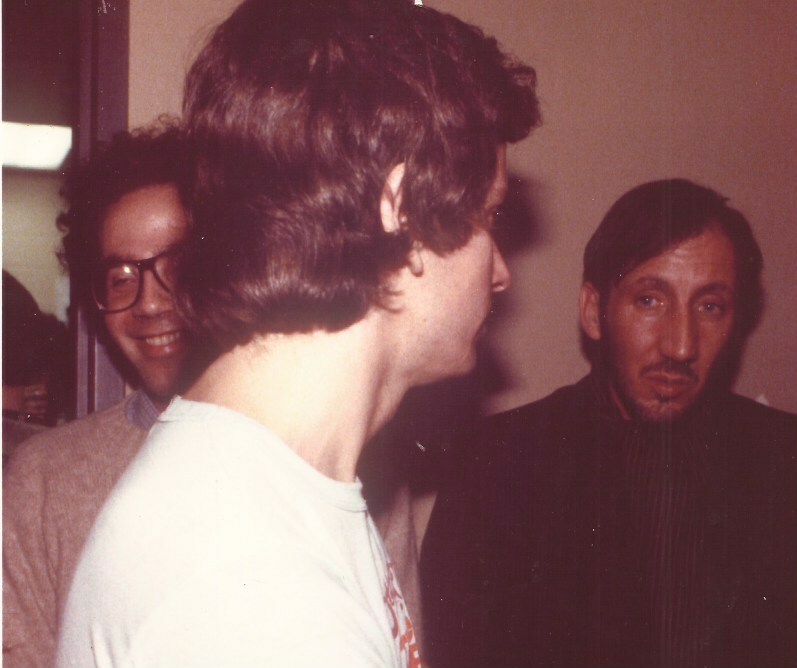 We weren’t obvious for American radio but there were stations [and programmers] that got us, like Scott Muni at [New York’s] WNEW-FM. FM was quite big in America and when we visited a station, we’d select whatever we’d want to hear. FM gave the album [format] a lot more impetus. In a few years, the band was headlining arenas. How surprising was that? There was a fair amount of trepidation (laughs). You have to get used to it. There was a strategic use of curtains to hide the fact that we weren’t doing as well in some cities as others (laughs). We’d be big in one place but not in another the next night. It was difficult at times. Genesis concerts were known for having a phenomenal light show. Lighting was very important, at first when Peter was in the band and then it developed more and more. Great lighting effects can carry the music along and present more of a show. If you got it right, you heightened the emotion of the music. I’m not the most visual person onstage (laughs). How did the group’s recording process evolve over the years? In later years, with the success of our solo projects, we decided to write new Genesis music collaboratively. We’d come into the studio with nothing at all… nothing pre-planned… and songs emerged. We didn’t know what would happen. [Every song on Invisible Touch and the follow-up We Can’t Dance was written by Banks, Collins and Rutherford.] On some of our earlier albums, the group-written tracks were the best songs. The band’s continued commercial growth then led to stadium tours. How were you able to transform your crowd-pleasing arena shows into larger venues? Our manager, Tony Smith, said, “You can do this.” As you say, they were a natural progression and very exciting to do. They have a celebratory aspect; you make a show that’s big enough to fill a stage. It was a strange thing to be out there. I enjoyed it but I felt like a spectator myself! Phil has returned to the stage. [He’s got a busy 2019 schedule including many dates with Mike + the Mechanics supporting.] 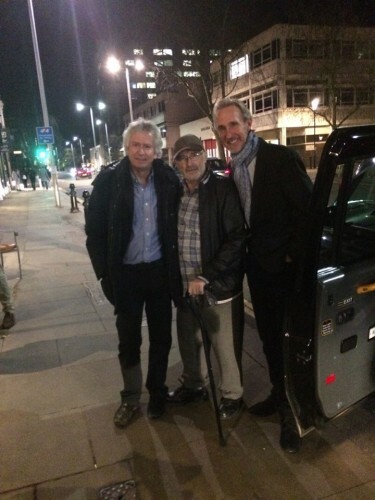 Thus, the inevitable Genesis reunion question… Yes? Well, Phil is obviously not able to drum. But I never say we’ll never play together again. I grew up loving Genesis and sadly somehow missed the 2007 reunion. It’s a shame Phil can’t play drums anymore cause he was such a great drummer. I’m always surprised that although they weren’t huge..people often forget about his work with Brand X. One of the best fusion/prog bands there ever was imho. They’re thankfully still doing gigs here and there with the original bass player Percy Jones and the gtr player John Goodsall I think his name is? If I’m wrong someone please correct me. Personally I’d love to see just 1 more Genesis reunion. Let Chester Thompson do all the drum parts and Phil concentrate on singing. Of course I really wish Peter Gabriel would get back together with them. That would really be something. .especially if they brought Steve Hackett on board. That would likely be a monstrous success I’d think. Here’s to hoping either version does it while they still can!